So, I was asked to blog about my favorite features/ things to do with Voxox. And after a solid period of thinking, reflecting and procrastinating, I decided to do it in list form…because who doesn’t like a good list? So without further ado, here are some of my favorite things to do with Voxox. Use the Caller ID Spoofer to put in your buddies home number, and then call his cell. That’ll freak him out. All you have to do is go to the Apps tab in Voxox, click on the “CID Spoofer” icon, and enter the number you want to call from. Then make the call – that’s it! My friends tell me I’m a music snob. That’s because they have no taste in music. All I’m saying is that they should listen to a little Dave Brubeck live at Carnegie hall in 1967. Share an entire album – or most any other type of file for that matter -- by choosing the appropriate contact in your buddy list and clicking the share file button (the one with the arrow). Browse and select the appropriate files, and you’re good to go. A few easy steps to increase your friends’ music IQ. Now that international calls are super cheap with Voxox international rates … I’m calling my friend in Dublin after a couple beers. Should be interesting conversation right? Check out our international rates here. 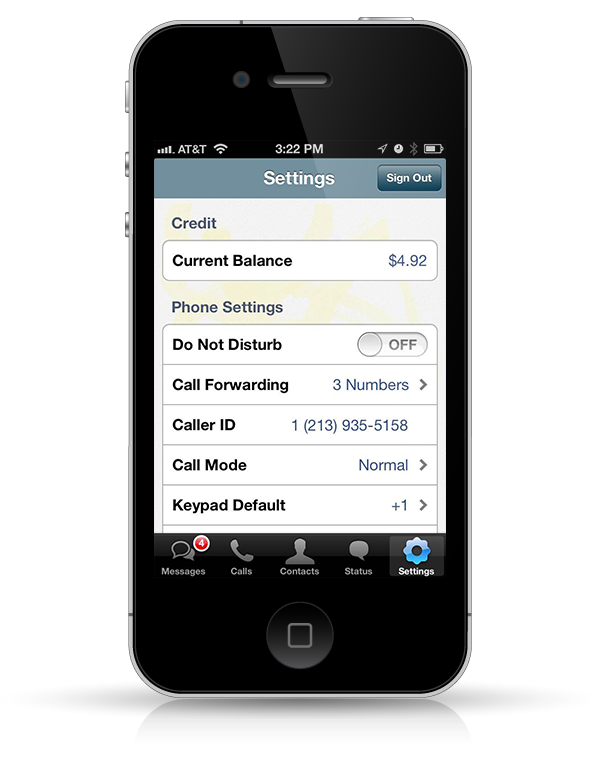 To purchase additional calling credit, click on the “Store” icon in the Apps tab. For my bosses reading this, I’m just kidding. For everyone else, use Voxox to log onto Facebook chat without having to be on the actual Facebook web site. This way you can pretend to be working, while actually chatting with friends. To get started, click on the profile picture of any of your Facebook friends in your Contacts tab. Click on the chat icon and … instant procrastination. You don’t need paper, and it takes like 10 seconds to do it, so why not send joke faxes to someone’s regular fax machine? To take advantage of our fax feature, pick a contact you want to bug (or send legitimate faxes to), click on the fax icon, and follow the three easy steps. You can also access the fax feature through the Keypad tab. What about you? What are your favorite things to do with Voxox? Let us know under the comments on here.